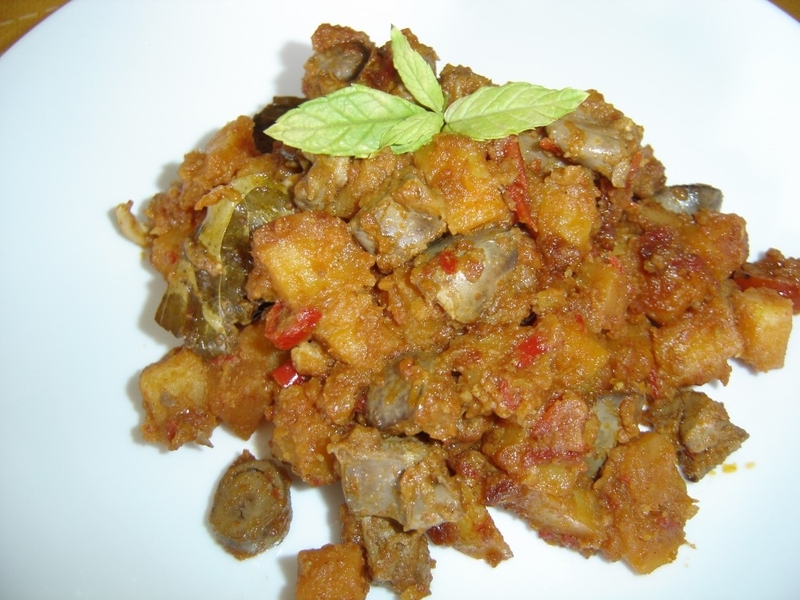 Sambal Goreng Ati Ayam is a delicious side dish. You can eat it either with plain rice (nasi putih) and acar kuning, or with yellow rice (nasi kuning). And you can have it spicy or less spicy. For me, I like it spicy! 1. Cooked the chicken liver for 10 minutes. Set aside and let it cold then cut into small square. 3. In remaining oil, sauté the spice paste, chillies, galangal and salam leaf until fragrant. 4. Then add the potatoes and the chicken liver. Stirring well and let the spices absorbed. Then add the coconut milk. Cook until the sauce is thick. Don’t stir too much because it would make the chicken liver falls apart.